Since November of 2015, in addition to BB Murals, I’ve been working full time as Lead Designer for ClimbZone Production, A new Zealand based company that produces themed climbing walls for franchised gyms. Besides our gyms in NZ, we have our flagship location in Laurel, MD, (opened in Nov. 2014) and one in Whitemarsh, MD. 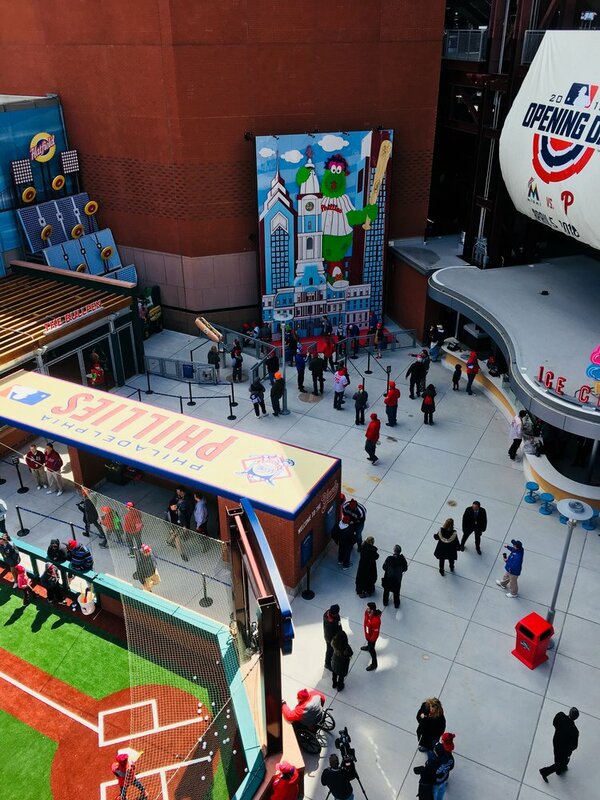 (opened in Nov. 2017), and an exterior 20’ x 28’ climbing wall at the Philadelphia Phillies Citi Bank Stadium. Fabrication for “In Progress” jobs include walls for a 20,000 square foot gym in Howell, NJ, a gym the same size for the new American Dream Multi-Plex also in NJ, gyms in the Mall of America, and possibly other facilities in Chicago and Florida. Through my work as Lead Designer for ClimbZone Production I am fortunate to have the experience of collaborating with some top outfits. 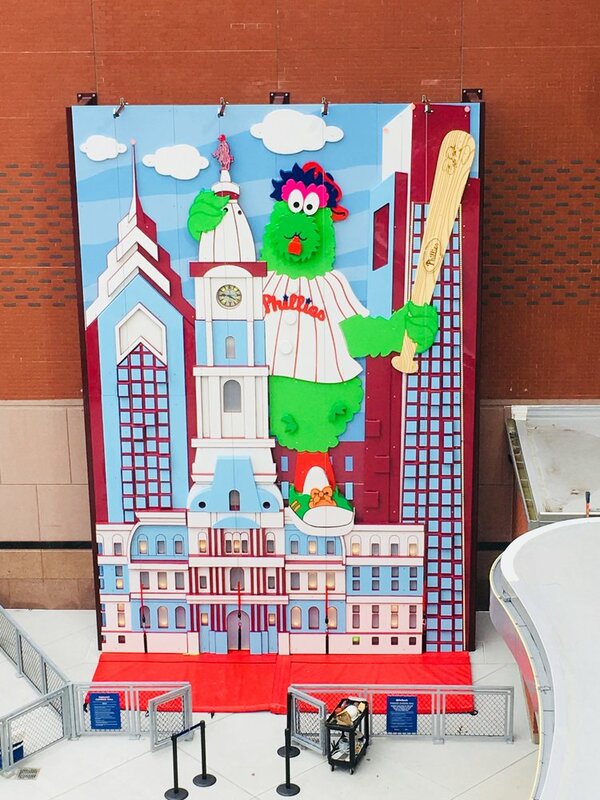 In 2018, our fledgling company received an unbelievable opportunity to work with the MLB to develop a 20’ x 28’ climbing wall to add to the recently renovated “Fun Zone” on the exterior of the Citi Bank Stadium, home of their mascot, the Philllie Phanatic, which is pictured climbing all over City Hall. Other attractions include a whiffle ball field, ice cream shoppe and hot dog cannon.